The governing party, the Popular Movement for the Liberation of Angola, known as M.P.L.A., has led the oil-rich country since its independence from Portugal in 1975. After the party won the most parliamentary seats in elections a year ago, it designated João Lourenço, the defense minister and a former governor, to replace Mr. dos Santos, who had announced that he would step down. Since taking office in September 2017, Mr. Lourenço has pledged to dismantle the corruption that flourished under his predecessor. Mr. dos Santos assumed office in 1979, becoming Angola’s second president. In remarks on Saturday, he said that he had not expected to remain in power so long, and he acknowledged that everyone makes mistakes. “I accept that I also committed them,” said Mr. dos Santos, 76. But he also defended his record and described the M.P.L.A. as a party of transformation. Mr. dos Santos was president during most of Angola’s devastating civil war of 1975 to 2002, but he also oversaw the building boom that followed. When the conflict ended, the country had a rare opportunity to rebuild: Its oil production could swell just as prices were high, allowing it to finance rebuilding and delivering an economic boom that was rare on the continent. But the oil-for-infrastructure model came with serious drawbacks. The deals between Angola and some of its foreign partners in the rebuilding effort lacked transparency and often resulted in projects of poor quality, either because of a lack of oversight or outright corruption. It also presented the politically connected with an opportunity for self-enrichment, and Mr. dos Santos’s inner circle of family and allies amassed extraordinary wealth. The former president, who has had health problems, was not a candidate in elections last year and instead campaigned for Mr. Lourenço as the party’s candidate. Despite that show of unity, divisions between the two emerged soon after the election. While few observers expected Mr. Lourenço to move boldly and quickly against his predecessor, one of his first acts as president was to dismiss Isabel dos Santos, the former president’s daughter, as chairwoman of the state-owned oil company Sonangol. She had become Africa’s first female billionaire, according to Forbes. Mr. Lourenço then dismissed José Filomeno dos Santos, the former president’s son, from the leadership of Angola’s sovereign wealth fund. Both Isabel and José Filomeno dos Santos face corruption investigations but deny any wrongdoing. Angola’s main opposition party, Unita, has questioned how far Mr. Lourenço will go to dismantle state corruption. The party said the country had faced enormous election fraud last year, and filed court challenges that ultimately failed. 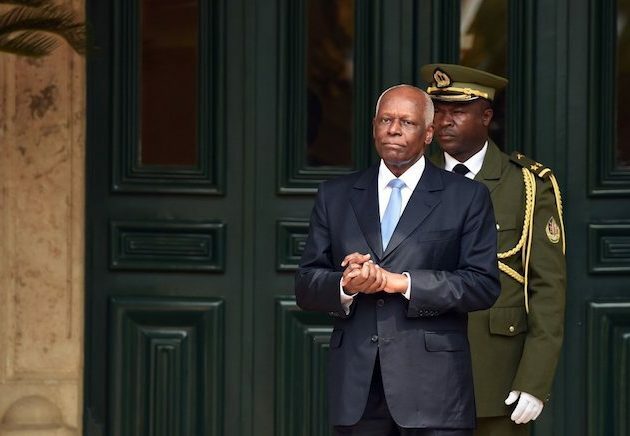 For many in the country, an Angola without Mr. dos Santos at the top is hard to imagine. But they will continue to see him regularly: His face appears on the country’s currency and on every citizens’ national identity card. Source — The NY Times.